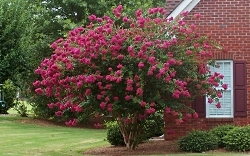 Clusters of ruby red flowers nearly cover this multi-stemmed shrub/tree all summer long. The dark green foliage turns rich bronze-red in fall for great cool season interest. A stunning specimen for your front yard or mass plant for beautiful late season color. Deciduous. 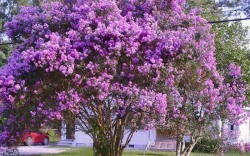 Deep purple flowering crape myrtle with attractive bark and pretty fall color. 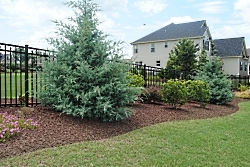 Moderate sized, multi-trunked tree makes an excellent border tree along a property line. Once established, is drought tolerant. 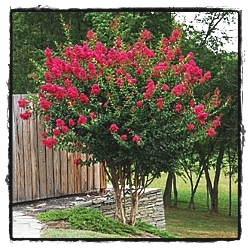 White Chocolate Crape Myrtle has maroon-colored new leaves becoming bronzy-green as they mature, providing a beautiful contrast to the clusters of small, pure white flowers in summer. Fall leaves are a mixture of orange and yellow. Makes a beautiful landscape specimen. Deciduous. 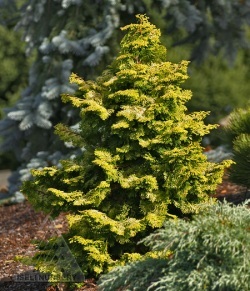 This slow growing Cryptomeria has light green spring growth. 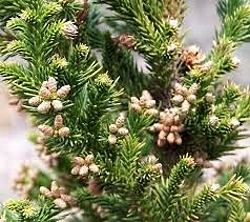 Matures to deep, dark green in summer and forms a dense, irregular pyramid. 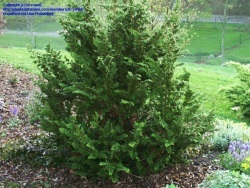 An interesting specimen in most any style landscape including Asian and formal English gardens. Evergreen. 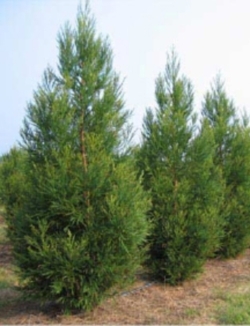 This beautiful evergreen has silver-blue foliage all year round. 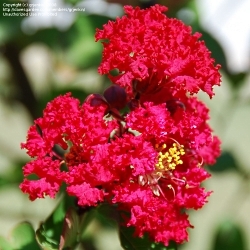 Thrives in hot, dry climates. 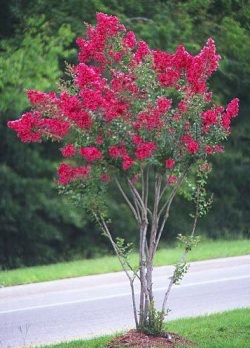 Makes a wonderful specimen tree, sound buffer, or large hedge. Beautiful blue color. Often used as a privacy fence. Ideal specimen for a narrow space in your landscape.